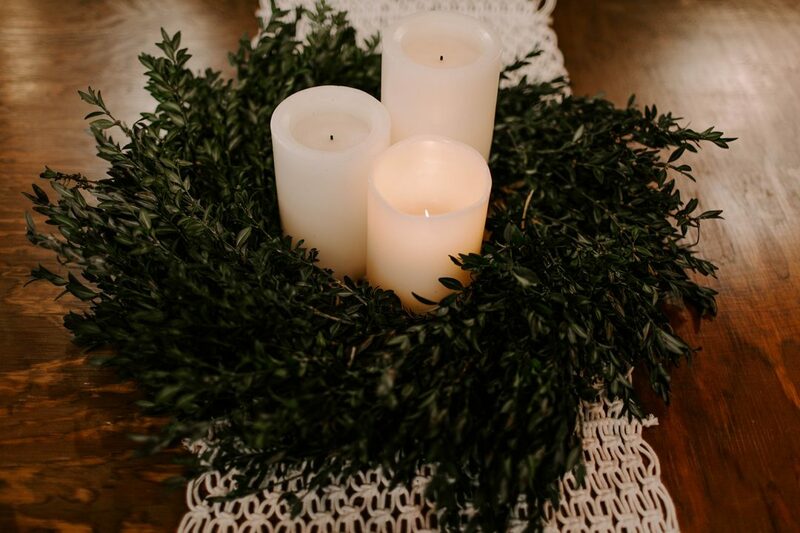 The heart behind our Peace Series is to create a place where you can break from the busyness of the season and meet our Prince of Peace, our Wonderful Counselor, our Mighty God. He is with us and He is for us – and that should bring great comfort and joy. We hope that by making room to reflect and respond to the truth of God’s word, you will be encouraged and equipped with practical ways to cultivate peace in your life. I’m a collector of midnight thoughts. Do you know the kind? They keep you staring up at the ceiling as they race through your mind, sending your stomach into knots and stealing any chance of rest. These thoughts are the breeding ground for anxiety and the birthplace of fear. Oh, the restless nights spent fixed on doubts. The hours lost questioning what I’ve said and done or even worse, worrying about what others think of my words and actions. I’ve wrestled with the past, wondering if a different argument or opinion might have changed everything. I’ve feared the future, doubting I had enough strength, knowledge, or talent to handle what lay ahead. The thing about this late night battle—besides the fact that it’ll make a girl crazy—is that it’s all about what might have been and what could be, instead of what is. It’s about the past [the things we can’t change] or the future [the things we can’t control], instead of the present [what we choose now]. Perfect peace. It can feel a bit out of reach, can’t it? In the middle of all the thoughts and emotions that hit us like a tidal wave, peace can feel distant and unattainable. And it is, if we try to find it within ourselves. This world tempts us with its versions of “peace.” Maybe it’s a pastime or habit that temporarily numbs our cares. It might be a distraction that pushes our worries aside for a time and convinces us we’re okay. These brands of peace, with their instant gratification, might be easier to choose, but they’re fleeting at best. Real peace is found in the presence of our Savior. Jesus offers a peace beyond understanding. It’s perfect, not because of how it makes us feel, but because of who He is. The peace He promises is perfected in us because it comes through practice—by learning to take hold of our thoughts, turn them toward God and rather than doubt, worry, or wonder, we CHOOSE to trust Him. We choose the truth that His goodness, grace, and power are big enough to tackle anything we face. I know this isn’t always easy, but the peace that Jesus offers is the only peace that lasts. The most amazing thing: if we cultivate this practice of pursuing peace in our life, God doesn’t say He might give us peace, or He’ll give us some, then take it away. Isaiah 26:3 tells us that if we’ll keep trusting Him with our deepest thoughts—if we’ll be real with God—He will keep us at peace. How beautiful is that? Sweet sisters, feelings are a thing. We have to be real with ourselves and acknowledge them, but feelings should not and do not get to rule our world. I want to be a woman who serves Jesus, not my emotions. 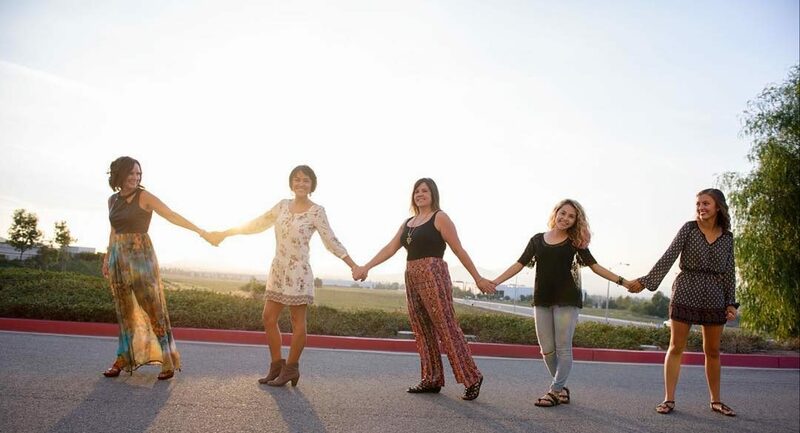 This is my prayer for us … that we would be a community of women who are not only real with each other, but hold one another accountable in the practice of peace. That we would gather up our doubts from the past, lay hold of our fears for the future, toss in our burdens and insecurities, and even if we have to drag them, even if it takes ten of us to carry them, even if we get it wrong and have to try over again, we bring those faith stealing feelings into the presence of our King and WE TRUST HIM and HIM ALONE. What might that look like? Imagine us, a body of believers, cultivating real peace and exceptional kindness, instead of being tossed around by our wayward thoughts and fickle feelings. I think it could be incredible, and I think we can do it. Are you in? Still your heart before God. Reflect on your thought life. What thoughts, worries or anxieties do you need to take captive right now and surrender to God? What are your forms of temporary “peace?” Maybe it’s social media, shopping or binging on food, Netflix or other numbing activities. Now that you’ve identified those, what would it look like for you to pursue God instead? Will you trust Him to bring you a peace that lasts, instead of those other activities? Write out Isaiah 26:3 and keep it in a place where you can see it. Whenever you feel peace getting away from you – when feelings, emotions, or anxieties begin to get the best of you – recite that verse out loud and claim the perfect peace that only God can offer. Remember you are a servant of God, not your emotions! 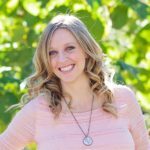 Tiffany Parry is the Cultivate Communications Ministry Partner at Sandals Church and helps coordinate social media and the Cultivate blog. She’s a wife to Jason and mom to her one and only son, Dylan. 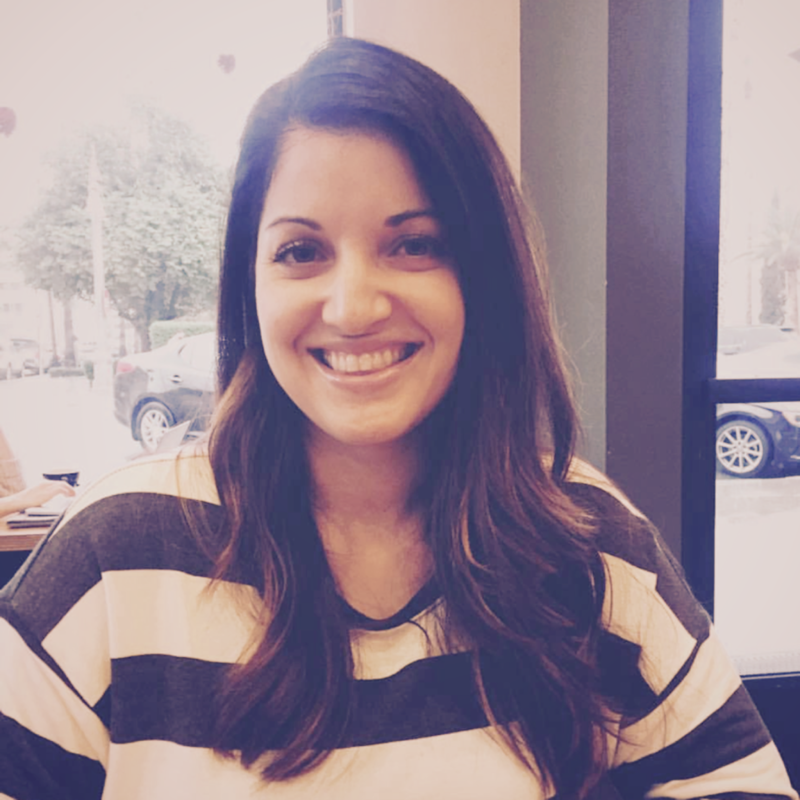 While work, ministry and family keep her days full, Tiffany loves words, both reading and writing them, particularly those about authentic faith in the middle of the messiness of life. A day spent in pajamas with a Hallmark movie, dark chocolate, and her family close by is one of her very favorite things. Another holiday season is upon us and with it comes all of the “stuff.” So much is good and fun – traditions, adventures, moments, memories, but inevitably, the hustle and bustle come along too. No matter how much shopping we do online or how many plans we make to do it “different” this year, at some point we are going to find ourselves frazzled, tired, irritated or overwhelmed. 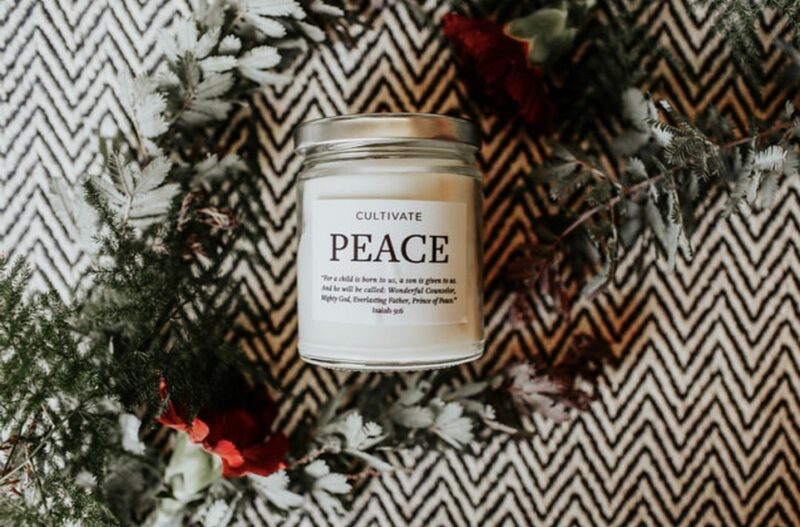 What does it look like for you to Cultivate Peace this Christmas season? Join us for a simple journey to explore “peace” and the deep, rich meanings it holds throughout the pages of scripture. We pray these words would draw you to Jesus as we celebrate His birth. Merry Christmas, friends! One of my favorite things to do as a kid, even with my own kids, was play with Play-Doh. First, that smell. Am I the only one who might have had a sniffing addiction? There was something about a brand new container of Play-Doh—untouched, no colors jumbled, a perfect blob of potential. My mind would race with all of the things it could be. I felt so powerful taking that blob into my hands and shaping it into whatever I wanted. I was in love with the pliability and moldability of Play-Doh and the control I had over my creation. Control. I like control. A lot. I don’t like feeling like things are out of my control…even though most often they are. This desire for control has led to a lifetime struggle with anxiety. It is something I struggle with every day. There have been days when my anxiety has made me physically ill. Other days, it just makes me sad. Most regrettably, on my worst days it makes me angry, and I take that anger out on the ones I love the most. “Don’t fret or worry. Instead of worrying, pray. Over and over again I have read these verses. I’ve memorized them and written them on Post-it notes to remind myself of what is true. But, it wasn’t until just this week that I saw something in this verse I had never seen before. In the same childlike way I shaped and reshaped my Play-Doh, as a child of God, I possess the ability to reform and reshape my thoughts—my anxious thoughts—and transform them into prayers. How can I shape my worries into prayers? By telling God what is on my heart. By thanking God for hearing me. By praising God for understanding and loving me. This sounds so trite, and frankly, elementary. But trust me…this is revolutionary! Here’s what I do: As my mind begins to travel down the all-familiar anxious path (which for me usually involves “awfulizing” any situation I am thinking about), I take that thought and immediately pray about it. I tell God my fear and my desire. But, I don’t stop there. As I pray, I begin concentrating solely on who He is: His goodness, His love, His presence, His mercy. Just Him. Then, He floods my heart and soul with His most reassuring peace. Here’s what I’m learning: This process is transforming my prayer life with Jesus. Just think about how often you worry! Imagine turning—shaping—each of those worrisome thoughts into prayers. Peace is Possible when Prayer is the Priority! Friends, there is just no way around this. What these verses make abundantly clear is that the peace that surpasses our human understanding comes as a result of our constant and faithful prayers. Here’s the best part: As we pray, we go deeper with God. We know Him. We experience Him. We trust Him. The MORE we know Him, the MORE we trust Him—with our hopes, our dreams, our relationships, our health, our emotions—EVERYTHING! We trust God because He is trustworthy, because He is good. My encouragement to you is to start right where you are. The next time an anxious thought comes into your mind, grab it and turn it into a prayer. Thank God for who He is and begin to walk in freedom. I am on this journey with you, friend. It is a daily discipline, sometimes even a moment by moment discipline. What I am most grateful for is that Jesus never loses patience with me in the struggle. He is ever merciful, kind and gracious, loving me right where I am and committed to taking me even further in my relationship with Him. THAT is worth everything to me. Do the holidays stir up feelings of anxiety for you? What are some things you are trying to control that you could instead release to God and trust Him more? How would you describe your prayer life? Make room for prayer this season by setting aside 10-15 minutes a day to pursue peace in God’s presence. Simply be still before Him and allow Him to reveal His goodness to you. Write out Philippians 4:6-7 and place it where you can see it. When anxiety creeps in or you feel impatience stirring in your heart, read these verses and tell God what is on your heart, thank Him for hearing you and praise Him for understanding and loving you. 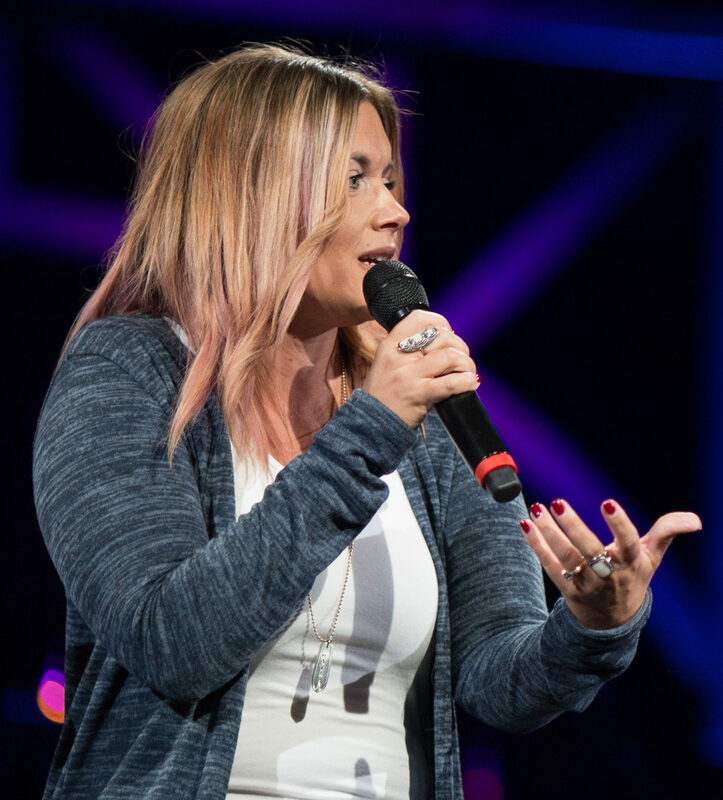 Melody Workman is the Cultivate Lead at Sandals Church. She is married to Adam, the Discipleship Pastor at Sandals Church, and together they have 3 children – Elijah, Mehretab and Addison. Melody is passionate about teaching and leading women into real relationship with Jesus. When she isn’t busy with ministry and family, Melody loves time at the beach, a massage, and good food. After living on the east coast her entire life and hating winter, she has fully embraced becoming a California girl. Cultivate has and always will be a safe place for women to come as they are and be met with kindness and love. Last week, in lieu of our regular on campus programming, we paused to encourage and speak hope over our Cultivate community, many whom were impacted by the tragic events in Las Vegas, Nevada. 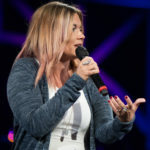 Together, Tammy Brown and Melody Workman reminded us that while our heart may be heavy and our spirit grieved, we have a very present hope in Jesus. We have the precious promises of God’s word. He is with us. He is good to us. He will NEVER leave or forsake us. Tammy and Melody encouraged us to turn to God in our moments of fear and anxiety, and also equipped us with scripture that we can fix our hearts and minds on when we struggle in these areas. We invite you to view the video teaching from last week, and even share it with friends and family who would be encouraged by this message of hope. Afterwards, please take some time to dig deeper into God’s word as you work through the reflection activity below. It will not only encourage you now, but it will provide you with truth and promise to carry with you every single day. Alone or with your group, take a few moments to acknowledge any areas of fear you may be facing, perhaps even loss, grief, uncertainty, or loneliness. Grab a piece of paper or your journal and take a few moments to tell God what you feel as you admit these fears. Share with your group. Do not be afraid…for I myself will help you, declares the Lord, your Redeemer, the Holy One. How does this promise from God encourage you today? Discuss with your group. As Christians, we live WITH fear, not IN fear. When fear rises up, fix your thoughts on the truth of God’s word. He is our refuge and strength. He loves us with an everlasting love. Fear does not have the power to dictate our life or choices, because our life is in the hands of a loving and good Father. Fill in the blank: God, when I am afraid of_____________________, I will trust in YOU. In God, whose word I praise – in God I trust and am not afraid. It’s the fourth and final week of our Real Lessons from the Life of Jesus series. Over the past weeks, we’ve not only walked in the footsteps of Jesus, but we’ve watched as He has changed the lives of women in the most incredible ways. Through the stories we’ve read, we’ve seen Jesus meet women with honesty, compassion, and forgiveness. He was real with them and in turn they could be real with themselves, God and others. Their stories are a part of our history and a beautiful example of how real relationship with Jesus can transform our lives. While our series is ending, we hope that you’re inspired to continue growing spiritually wise through reading and reflecting on God’s word. Keep immersing yourself in the stories of the bible. Dig deep, ask questions, and respond to what Jesus is showing you. Spending time with Jesus is the very best way to cultivate His heart. This week we’re reading five short verses that pack a punch—the story of Jesus visiting the home of Mary and Martha. There’s no doubt that, in some way, we all see ourselves in these two sisters. When I read this story, I get dreamy eyed as I long for Mary’s heart to be at the feet of Jesus. In reality, I’m much more Martha, setting the table and taking names, then fussing to Jesus about how nobody helped poor little me. While we can relate to the sisters actions as individuals, together they are a picture of what the balanced Christian life looks like: first worship, then work; first a Mary heart, then service with Martha hands. As you read this story, put yourself in Mary and Martha’s home? How do you look when you’re about to host an important guest? What would it feel like if Jesus was coming to dinner? Imagine what it felt like for them. Focus in on how Jesus responds to Martha. 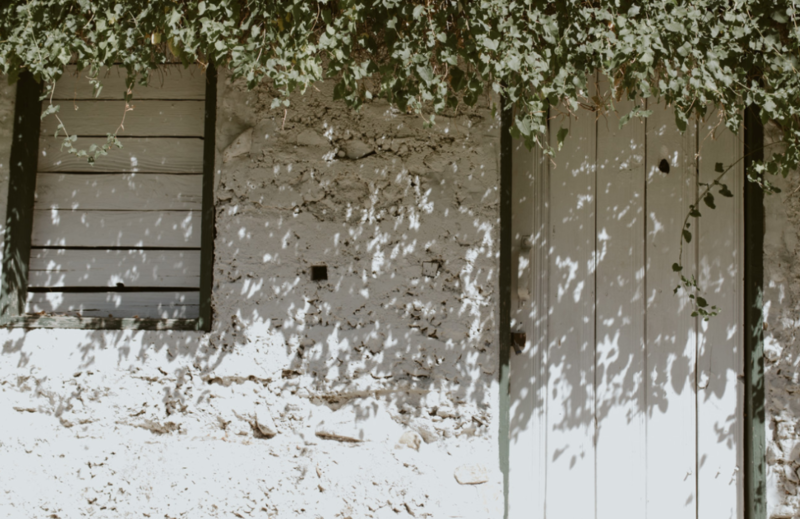 We’ve seen so much of His wise and kind heart for women, for His people, over the past few weeks, so how do you imagine Jesus’ tone of voice as He teaches Martha a life altering truth? How would you—or how can you now—receive His encouragement to choose the main thing? Remember to use our REAL study method as your read. You can grab a printable version here. Take notes, highlight, re-read and focus on the choices Mary and Martha made and Jesus’ response to them. Reflect on your own life. What “one thing” is Jesus saying to you? What do you learn about the heart of Jesus in this story? How do you see Jesus modeling wisdom? How do you see Jesus modeling kindness? Based on this passage of scripture, what do you see in Jesus that you want to cultivate in your own life? How can you live this out in your relationships this week? Be specific. Pray, asking God for wisdom, strength, and courage as you seek to cultivate the heart of Jesus. We’re so glad that you joined us here over the past four weeks as we have cultivated the heart of Jesus. We hope that you’ll follow His example of wisdom and kindness and carry it with you as you live out your faith every single day. Thank you for desiring to be women who are both wise and kind! You’re invited to join us this fall as we cultivate emotional health by reading, discussing, and learning through An Emotionally Healthy Woman by Geri Scazzero. When you sign up, you’ll be registered to join a small group of wise and kind women, at the Hunter Park campus, for nine weeks beginning Thursday, September 14th at 9:30am through November 9. By popular demand, we’ll continue to offer our online option so you can cultivate community when/where it works best for you. 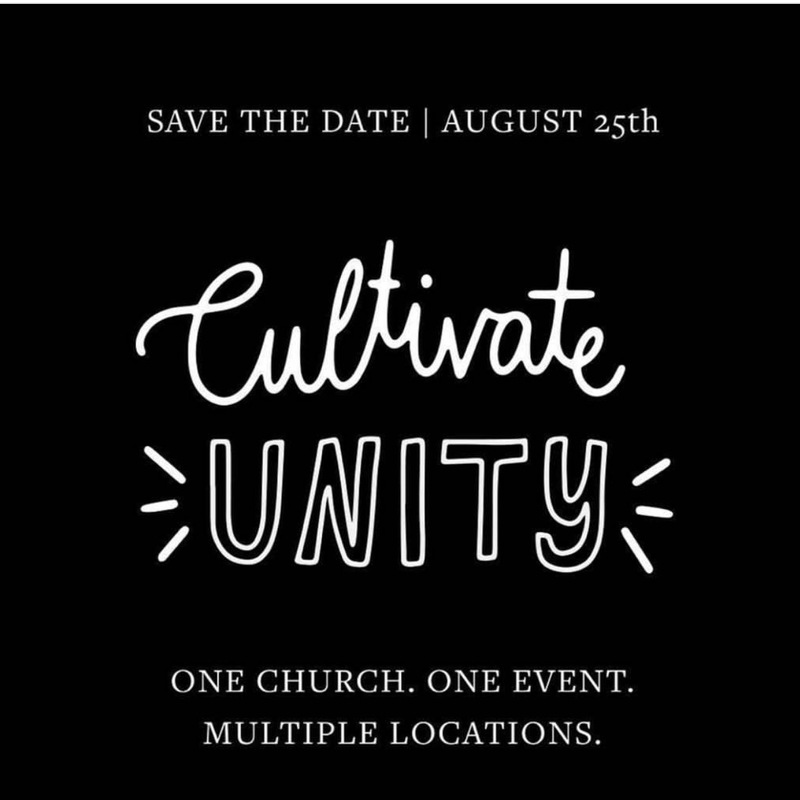 Registration opens at Cultivate Unity on August 25th. Visit move.sc/cultivate for more information and to register. We hope you’ve been inspired and encouraged by the stories of Jesus interacting with women in the bible. Hasn’t it been incredible to see His heart for them and for us? 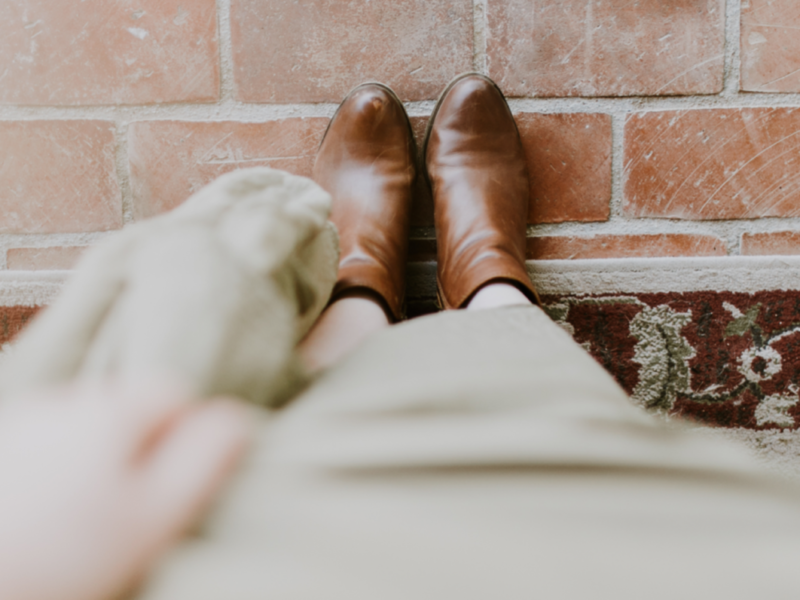 If you missed either the story of the woman at the well or the woman who anointed the feet of Jesus, take a few moments to go back and read them. There’s nothing quite like walking in the footsteps of Jesus and reflecting on His ministry to ordinary people who needed His extraordinary love. This week, we’re reading the short, but life changing exchange between Jesus and the woman caught in adultery. As you read these verses, think about the tension that must have been in the air. This woman is brought, seemingly caught in the act, straight into the temple to stand in front of Jesus and ALL the people. What would that have felt like for her? Imagine the murmurs running through the crowd as she’s accused by the religious leaders of the day? When I read this story, I wonder what side of that crowd I would have fallen on. I’d want to be on the side of compassion and grace, realizing that I too am a sinner. However, my heart is convicted as I think of times I’ve looked down on another’s sin and sifted the ground to throw the first stone. The degree of love and grace He shows is lavish, scandalous even. As you read this story, remember that Jesus is not going easy on her sin. He can respond with such radical forgiveness because He knows that soon, He’ll go to the cross to die for her sin…and ours. Linger on that thought and allow it to fill you with gratitude. Amazing grace, right? Remember to use our REAL study method as your read. You can grab a printable version here. Take notes, highlight, re-read and focus on how this woman must have been feeling, what her accusers were hoping to do, and then on Jesus’ response to them and her. Reflect on your own life. How is Jesus speaking to you? 1-2 Jesus went across to Mount Olives, but he was soon back in the Temple again. Swarms of people came to him. He sat down and taught them. We’ll see you here next week, for the final week of our real lessons from the life of Jesus series. We’ll be reading about Mary and Martha. Until then, let’s be women who intentionally cultivate the heart of Jesus, who follow His example of wisdom and kindness as we live out our faith in this world that needs to know Him. The countdown is on…ONE MORE WEEK until Unity! We can’t wait! Here’s what to do on Friday, August 25th: grab a friend and your daughters ages 10+, then head to the campus you attend every weekend. The evening kicks off at 6:00pm with activities, NEW Cultivate merch, and sweets & treats for purchase. Doors open at 6:30pm and the program begins at 7:00pm with worship and a special message from your campus pastor’s wife. Friends, it’s going to be amazing and we want you to come! Welcome to week 2 of our Real Lessons from the Life of Jesus series. If you missed last week’s reading and reflection on The Woman at the Well, be sure to check it out. This week, we are going to read one of the most powerful exchanges Jesus ever has with a woman. As you read the story of the woman who anointed the feet of Jesus, imagine that you are present. Put yourself in the room as she pours out her tears and offers her costly gift. What do you think was running through her mind? How would you have responded to her? If I’m completely honest, I think I would have felt awkward observing what happened. It’s so raw and vulnerable. Don’t we all struggle a bit with true vulnerability—the kind that leaves us feeling completely exposed? Often, we don’t feel safe and we wonder how we will be received. Pay attention to how Jesus responds to this woman’s complete authenticity. It’s why I love Him so. We are always safe with Jesus. Linger in this story for awhile. How would you have felt? Would you have responded differently than the people in the room? Soak in the words and reactions of Jesus and let the beauty of His grace and love wash over you once more. As you read this story, remember to use our REAL study method. You can grab a printable version here. Take notes, highlight, re-read and focus on how this woman’s approaches Jesus, and then His response to her. Reflect on your own life. How is Jesus speaking to you? We’ll see you here next week, for more real lessons from the life of Jesus through the story of the woman caught in adultery. Until then, let’s purpose to be women who cultivate the heart of Jesus as we grow spiritually wise and relationally kind. 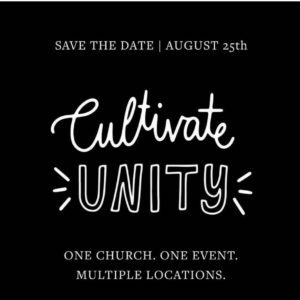 Cultivate Unity is right around the corner! We’re talking the women and girls (ages 10+) of Sandals Church gathering together at the campus you attend every weekend. One church, one event, multiple locations. Join us at 6pm for activities, NEW Cultivate merchandise for women and girls, plus sweet treats, coffee, and beverages for purchase. Doors open at 6:30pm and the program starts at 7pm with worship and a special message from your campus pastor’s wife! Come and bring a friend, or come and meet some new friends. We promise you won’t want to miss this night. Join us on August 25th! We can’t wait to see you! We’ve been all about Cultivating Community this summer. We hope you enjoyed learning and growing through the wisdom of God’s word in our July Wise and Kind Proverbs series. As we close out this summer season together, we’re inviting you to continue to cultivate God’s word into your heart and life by digging deep into the life and ministry of Jesus. Each Friday in August, we’ll be reading and reflecting on real lessons from His life. There is no one more fascinating to me than Jesus. There is just no one like Him! As you read and study things He said, immerse yourself into each story. Pause and imagine you were there. Reflect on what you might have been feeling in those very moments. As you observe how Jesus interacted with all kinds of people, our hope is that you will be deeply moved and motivated to cultivate His heart into your own life. In Jesus, we have the perfect example of wisdom & kindness. Jesus loved people well, while also speaking truth into their lives and giving them grace when they didn’t get it right. Imagine what could happen if we as a community of women committed to cultivating the heart of Jesus into every aspect of our lives. It would not only change us, but it would change the world around us. There is no greater pursuit than cultivating God’s word into our hearts and lives. We love being on this journey with you, and we encourage you to share what you’re learning with a trusted friend or your community group. We want to to hear from you too, and invite you to tell us what God is showing you in the comments below or on Instagram and Facebook. This week, we are going to read the story of the Woman at the Well. It is one of my all-time favorites. There are so many nuggets of truth tucked away in this exchange. 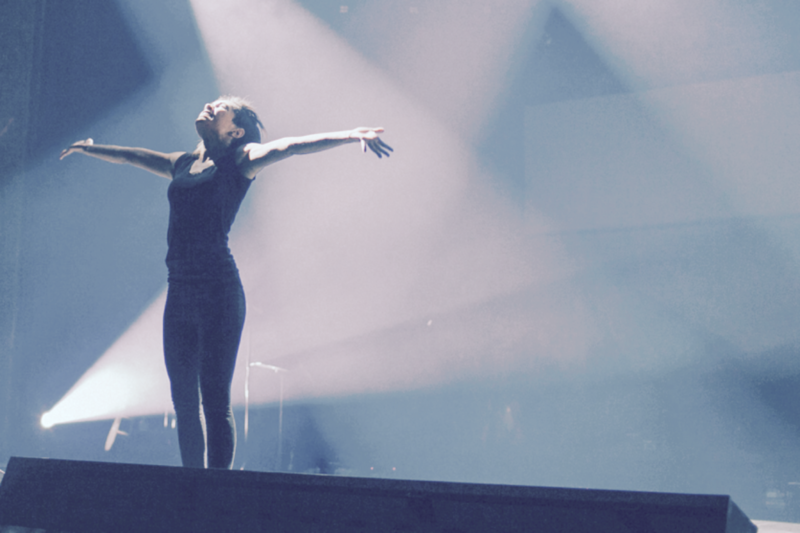 This woman was desperate for hope, for grace and for a new chance at life. I wonder if you can relate? Jesus meets her right where she is and this one encounter changes everything. As you read, remember to use our REAL study method. You can grab a printable version here. Take notes, highlight, re-read and focus on who you see Jesus becoming to this woman. Then, reflect on your own life and how He is speaking to you. We’ll see you here next week, for more real lessons from the life of Jesus through the story of Mary, who anointed His feet. Until then, let’s be women who intentionally pursue the heart of Jesus as we grow spiritually wise and relationally kind. 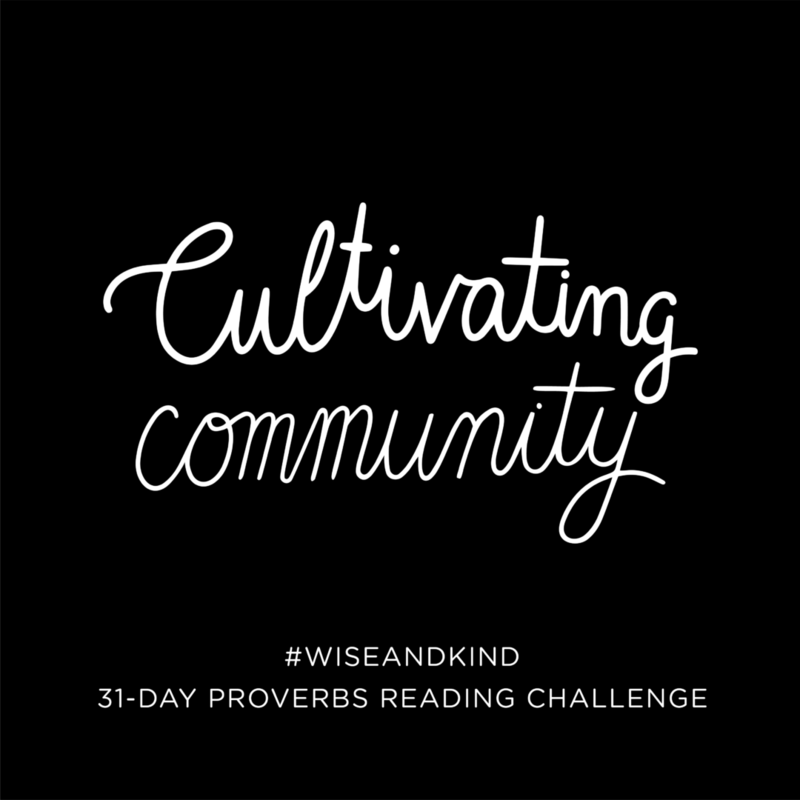 It’s our fourth and final week of the Wise and Kind Proverbs Reading Challenge Blog Series. 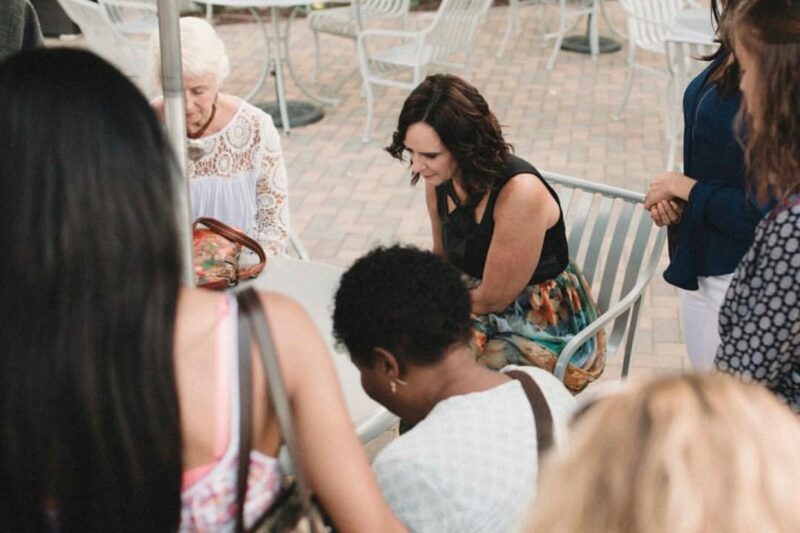 We hope you’ve loved reading how the women of Sandals church are living out our vision to grow spiritually wise, relationally kind, emotionally healthy, and cultivate community. This week, we’re looking at the final attribute—cultivating a servant’s heart. As always, we love hearing from you. We invite you to share your thoughts in the comments below. To all my fellow people-pleasing friends, let’s say it together: My name is [insert your name here], and I’m a recovering people-pleaser. I am in no way making fun of support groups. Seriously, I’m relating people pleasing as the problem that it is. Hear me ladies—It. Is. A. Problem. Especially when one is a servant of the Lord Jesus Christ. Serving and people-pleasing can get intertwined and become a messy dysfunctional thing. People pleasing has its roots in insecurities. It’s the attempt to “do for someone” acts of all diverse kinds to gain favor, acceptance, or even to earn love. Take it from me, a former people-pleasing queen, there is nothing more exhausting and further from the service Jesus intended for us to embrace and live out than people pleasing. Serving is giving of oneself freely because of one motive and one motive alone…love. Jesus served because He loved. He loved us to death, literally. The only thing that should motivate us to serve tirelessly and continually is our love for the One who loved us ﬁrst. Although many of us are a tad tainted with this culture that teaches us to “be served” rather than to serve, we have to take our eyes off of our confusing culture and look square into the eyes of the One who modeled servanthood perfectly—Jesus. Never let loyalty and kindness leave you. Tie them around your neck as a reminder. Our serving should never be an attempt to gain favor, be recognized, or work for God’s love and acceptance. Sister friend, you are LOVED and ACCEPTED by God before you lift a ﬁnger in Sunday school class or pick up your mic to belt out a worship song. You DO NOT need to serve to gain God’s love or favor. You deﬁnitely do not need to serve to become more spiritual in the eyes of man or God. If you are serving in this way, you’re missing a beautiful opportunity, sweet friend. It’s a beautiful way to express gratitude for all He has done. Jesus served His disciples and He served strangers. He made Himself available to whatever the need was. Yes, we are all gifted in some capacity, but that should never limit us in the ways we are willing to serve. You may be a gifted orator and sharing the gospel comes out as smooth as butter. You may have the vocals of an angel. But poopy butts need wiping in the nursery, and the trash needs taking out in the foyer. Those things are serving too. A couple Sundays ago, I was attending a leader meeting at Sandals East Valley. When I walked in, I observed a man carefully vacuuming every piece of debris on the ﬂoor. Shorty after the meeting started, we were introduced to that man: Dan Zimbardi. Um, the renowned D.Z.?! Our Executive Pastor was vacuuming! I heard so much about him and I met him for the ﬁrst time as he modeled servanthood by vacuuming the ﬂoor. He was not too important to push a Dyson. High ﬁve, Pastor Dan! I think people pleasing has messed up my serving game in the past big time. As I’ve aged, I understand far better the joy and privilege of serving out of a heart of genuine gratitude for all God is and all He has done for me. He loves me. He showed me how much on Calvary 2000 plus years ago. I love Him and I show him by serving Him with gladness. and truly brings a satisfaction like nothing else. Go get em’, girl. Serve your little heart out all you can, just because you love Him back. What does being a servant look like to you? Is your definition based on the truth of God’s word or is it derived from what you’ve been told “serving” should be? Who do you know that models a servant’s heart? How do they inspire you to serve? Read Proverbs 3:3-4. Are you trying to earn favor with God and people through serving? Reflect on the truth that you are loved and accepted by God not because of what you do, but because you are His. Now, respond to God and tell Him what that truth means to you. Has people-pleasing impacted your willingness to serve God? What do you need to let go of (fear, insecurity, doubt) in order to simply serve God with a heart full of love and gratitude? Is God stirring up a desire to serve in your heart? If you’re willing to respond and step out in faith, you can learn more about joining a team at Sandals Church here. There is a place for you! As you continue your study of Proverbs, consider these other verses on cultivating a servant’s heart. Choose the one that most speaks to you, and be intentional about applying it to your life and allowing it to change who you are. 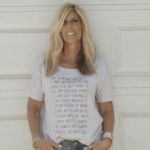 Diane Huntsman is the Sandals Ministry Partner for Cultivate East Valley. She’s a wife of 31 years, mom to 4 adult children and Grammy to her 3 gifts. 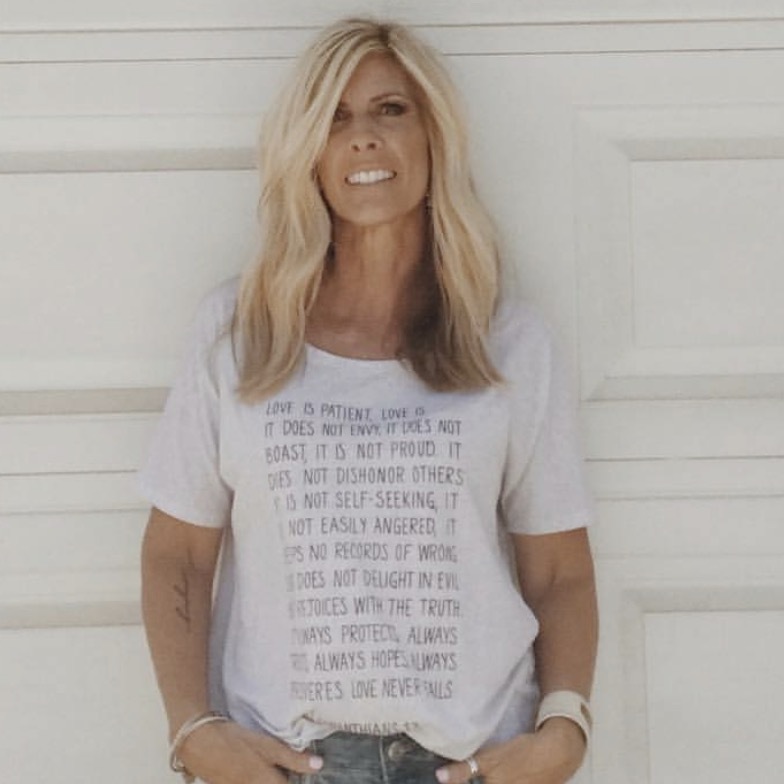 She is in love with Jesus and determined to use all her mistakes, messes and years of living to help women in all seasons to make this life count for eternity. Diane has served in different women’s ministries for 25 years and desires to leave a legacy of loving Jesus to the max. She enjoys all things outdoors, hates running and burpies but loves to make her body do all the things her mind says it shouldn’t do. You can find her on her porch some days, and wishing she was there on all the rest. 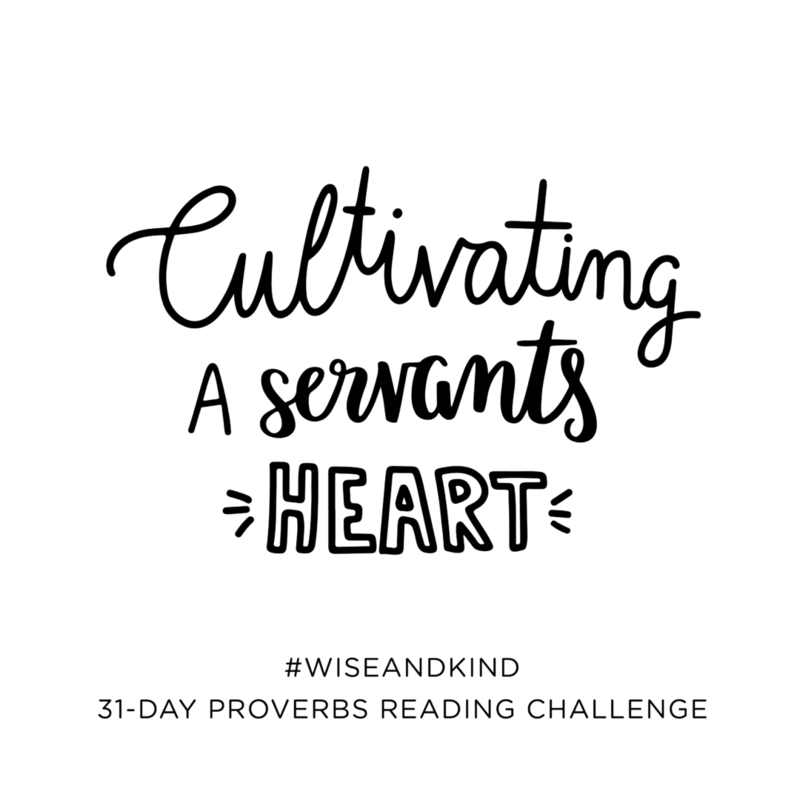 Welcome to the third week of our Wise and Kind 31-day Proverbs blog series. 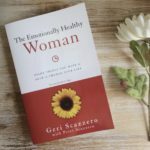 Over the past weeks, we’ve asked women at Sandals to share how this book of wisdom has instructed them in cultivating wisdom & kindness, as well as cultivating emotional health. This week we’re looking at the difference that cultivating community can make in our lives. What are you learning through your daily reading in Proverbs? How are you cultivating the word of God into your heart and life, and how is it changing you? Share with us in the comments section below, or interact with our posts on Instagram and Facebook. We want to hear from you! I’m a Cultivate and groups junkie! You may laugh, but it’s true. I’ve grown up going to church and attending bible studies, but I missed one crucial aspect—community! I’m not talking friendship. I’ve had lots of friends—and great ones. I’m talking about doing life hand-in-hand with one another and life hand-in-hand with Christ. This idea of community was a concept completely new to me and so were the women around me when I first attended Cultivate Book Club. I learned quickly that with intentional vulnerability comes deep connection. Transparency is both a scary thing and a freeing thing. My mask was down and so were theirs. I was treated with kindness. After my first day at book club, I left feeling filled, alive, renewed, and free. I felt like I had discovered a gift and experienced friendship in a new way. Each time I’m with the girls in my group, each text we share back and forth, brings joy to my heart and a smile to my face. They lean into my mess and help me see clearly. They speak truth into the lies I’ve believed for far too long. They encourage me to press on. They see blessings that I miss. They pray for my family. They’ve comforted me in my grief. They make me laugh. They’ve been in situations that I haven’t, but might walk through someday. They offer wisdom. They give me grace. They hold me accountable. I treasure their hearts, their friendship, and their counsel. With each new season of Cultivate, I come to realize that the depth of friendship and community goes beyond just what we can see. and share His great love with others in our lives. We are able to be His hands and feet for one another. We are able to be reflections of His love, His grace, and His kindness. We can help bring healing, encouragement, and hope to those around us by imitating our Lord and Savior Jesus Christ. As wives, moms, sisters, students, daughters, employees, we are busy. None of us need to add one more thing to our already filled schedule, but I ask you to consider joining us in our journey of being real and cultivating community. Cultivate has changed my life and brought me into a deeper relationship with Jesus. Cultivate has created relationships that I will be forever grateful for…a new community of friends and family! Think of a time when you have experienced sweet counsel (e.g. truth, advice, encouragement) from a friend. What did that look like and how did that make a difference in your life? Friendships are important to all of us, but especially to Jesus. He could have done His work alone, but He surrounded himself with disciples. Read John 13:34-35 and 15:12-17. What command does Jesus give over and over? How does Jesus’ view of friendship and love impact the way you see community? Proverbs 27:17 says, “As iron sharpens iron, so one friend sharpens another.” A lot of people can influence our lives, but who are the people in your life that truly refine and strengthen you as a follower of Jesus? How can you be intentional about cultivating community with these people? The next season of Cultivate begins in the fall, but you don’t have to wait to find community at Sandals Church. We have a group for you! Find a community group that fits your schedule and needs, or even start your own today. You can learn more here. As you continue your study of Proverbs, consider these other verses on cultivating community. Choose the one that most speaks to you, and be intentional about applying it to your life and allowing it to change who you are. Megan Suarez is a Sandals Ministry Partner and Small Groups Coordinator for Cultivate. 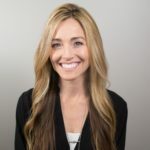 She has a passion for connecting and encouraging women. She is the proud wifey of Jesse, and mommy to 3 crazy, baseball-loving boys ages 7, 9, and 11. Megan loves camping with her family, watching her boys play baseball, going to Angels games, and anything and everything to do with the beach! 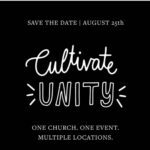 Have you heard about Cultivate Unity? We’re talking the women (and girls ages 10+) of Sandals Church gathering together at the campus you attend every weekend. One church, one event, multiple locations. What do you need to do? Come and bring a friend, or come and meet some new friends. It’s just that simple. What a beautiful way to cultivate community right in your own backyard. We promise you won’t want to miss this night. Join us on August 25th. We can’t wait to see you! Last week, we applied the truth and insight found in Proverbs to cultivating wisdom and kindness. As we continue our Wise and Kind 31-day Proverbs Reading Challenge, we take a look at how the fullness of God’s word can help us grow emotionally healthy. We hope that you are not only making time to read the Word, but apply the truth to your life with intention. Remember, you can share what you’re learning with us by commenting on the blog or interacting with our posts on Instagram and Facebook. We love growing spiritually wise together, and we love hearing from YOU! “Where do you see us in five years? What is one thing we said we were going to do that we probably won’t?” My husband and I had planned our lives out pretty much entirely. We are that couple…or at least we were. I was nine months pregnant when he asked me those questions. We had bought into a lifestyle that was depicted by where we lived. Two kids, two cars, two incomes, too much! We were both thriving in our careers, had just bought our first house, and were expecting our first child. I knew adoption was expensive, time-consuming, and emotional. It didn’t seem to fit this lifestyle we had purchased. “I feel the same way,” was my husband’s response. We realized that our lifestyle was not in line with what God had called us to do. We felt that calling to adopt very strongly, and we were letting the life we had made get in the way. We made a promise right then and there that our next child would join our family through adoption. It wasn’t our plan, but it was our calling. Things moved fairly fast after that. Our daughter was born, and it was the greatest joy we had experienced. We kept trying to push the adoption back. We told ourselves we would start the process when she was a year old because of finances, closeness in age, and overall fear of the unknowns. But God kept pushing and knocking. So we let Him in on His timing. We let Him provide. When our daughter was four months old we began the process of adopting from South Korea. And it was a process! Paperwork, a home study, fingerprints, doctor appointments, financial statements, notarized everything, employment verification. Basically everything in your life is put into words to show that you are a capable, loving family. Then everything stops. You wait. You pray. And the waiting for me, was unbearable. knowing what diverts my focus, and facing emotions head on without hiding them. But during the adoption process I forgot it all. I couldn’t stand not knowing what was going to happen, not being in control, and not being able to plan it. Our adoption took over two years to complete. I watched friends have biological children in that time. I saw other adoptions move at lightning speed, and I questioned why our son’s process took so much longer. I saw my faith tested month after month with no word. I wiped tears from my eyes day after day for weeks at a time. I saw my marriage have ups and downs because these were new waters for us. I felt insane jealousy like none other that made me feel weak. I felt absent and distant from God because I didn’t hear Him anymore. All I heard was the empty silence that no news brings when you are adopting. I was not okay, but to everyone on the outside I was. I didn’t let anyone in to see my pain or the ugliness I felt from jealousy to regret. But I realized rather suddenly (and after a complete melt down one day) that God’s silence was really His patience with me. God was waiting for me to listen so that I would hear Him. He was teaching me and leading me back to Him. He has the best intentions for my son. He has the best intentions for our family. God has the best intentions for me. I told my husband, my mom, and close family members how I felt. We prayed together, focused on optimism and hope, and I joined an adoption support group. Once we let God in, He radically changed our lifestyle. We moved closer to family. I am now a stay-at-home-mom. We don’t feel the pressures of the lifestyle we had before to act, look, or be a certain way. We seek to imitate God rather than others. Thinking back to the adoption process still brings every emotion and hurt to the surface. But being emotionally healthy for me is recognizing the hurt and facing it rather than masking it. God has given me opportunities to share my story with other adoptive parents to help fully equip them for the journey. I may not be emotionally ready to say, “I would do it all over again,” but if I can see my weaknesses from the past, I know God will help me use them to move forward in the future. He will help you move forward too. What does being emotionally healthy mean to you? Read Proverbs 14:13. The first step is being real. Are you masking your real emotions (grief, fear, worry)? 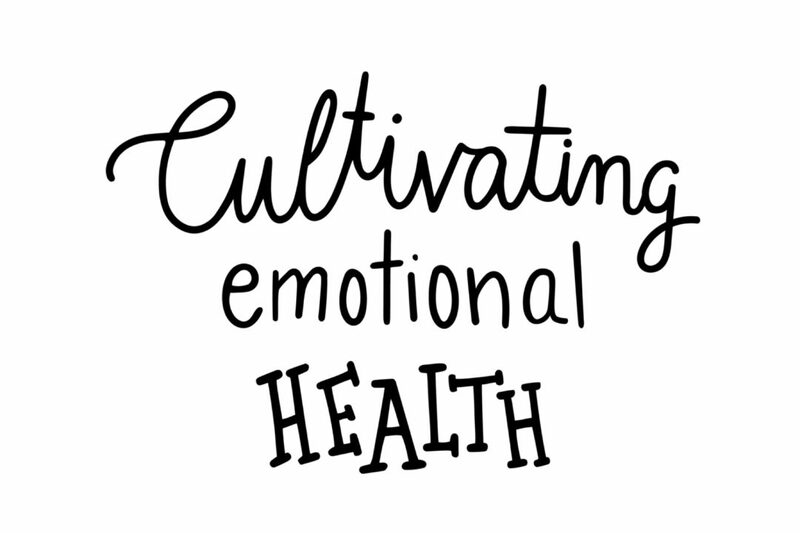 What can you cultivate instead (peace, truth, community) to pursue emotional health? Does the pressure to act, look or be a certain way keep you from being real? Who in your life allows you to be honest about your emotions? If you don’t have this kind of community, know that we at Sandals Church care about you. Learn more about joining a community group or speaking to our Soul Care team. As you continue your study of Proverbs, consider these other verses on cultivating emotional health. Choose the one that most speaks to you, and be intentional about applying it to your life and allowing it to change who you are. 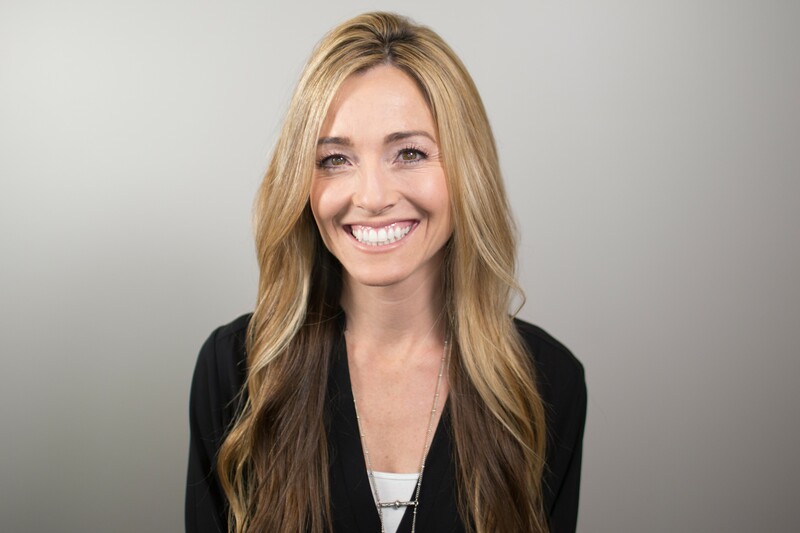 Meghan Benson is a Sandals Ministry Partner, serving alongside the women of Cultivate by supporting social media design and outreach. She is married to Nick and they are working together to raise their three kiddos, Natalie (4.5 years), Jameson (4 years), and Hadley (5 months). A mom first, Meghan spends “nap time” creating handmade jewelry and expanding her knowledge on all things tech related. She enjoys white mochas and local coffee shops, but with three little ones at home she is grateful for a re-heated cup of homemade coffee and this irreplaceable time in their lives.